I recently did some more dyeing (so much fun!). 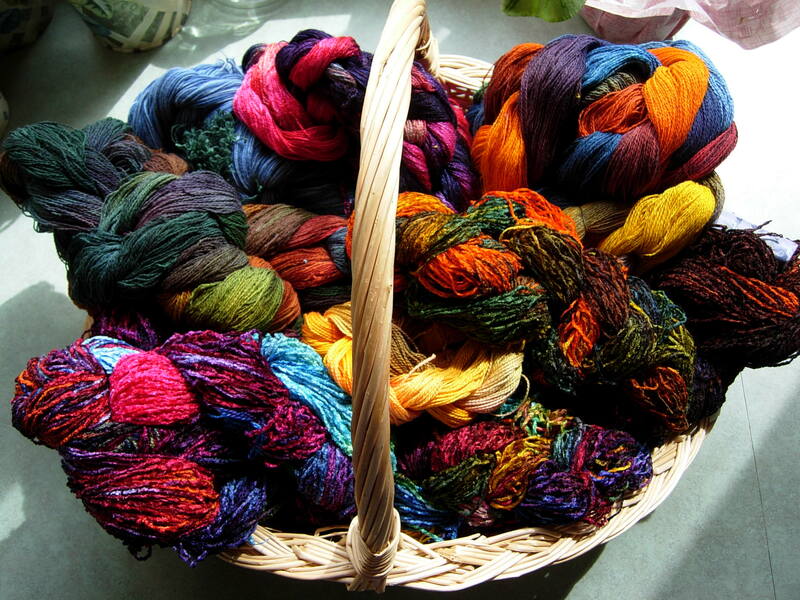 In this basket are the “painted warps” that are waiting to become towels, scarves and shawls. Aren’t the colors pretty? The anticipation of how the woven pieces will turn out is very exciting to me. Stay tuned. I’ll let you see them as they progress into finished works of art. Whew! That was a lot of weaving preparing for the Studio Tour. Thanks to all who came to visit me during Three Rivers Art Studio Tour 9. I enjoyed meeting new art lovers and visiting with old friends. Our attendance was down quite a bit from 2 years ago. 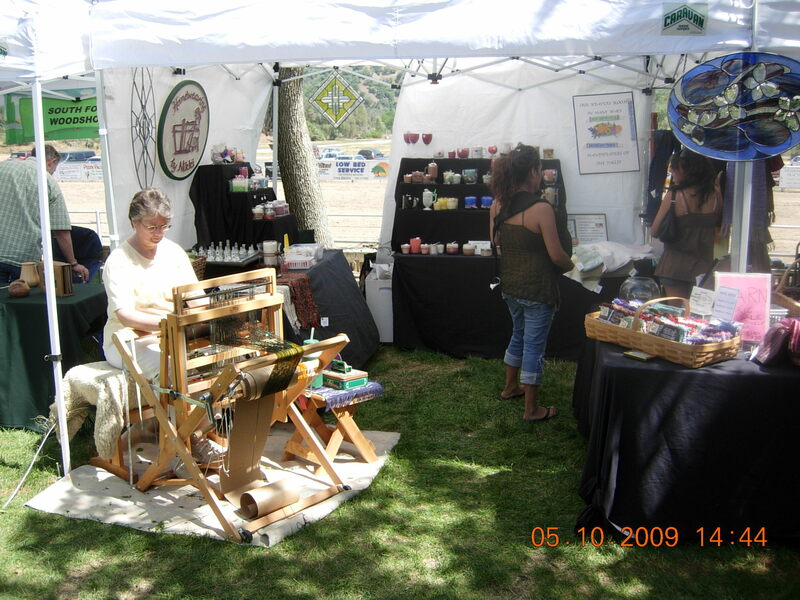 Too bad more people didn’t come out on such a beautiful weekend and see the 21 talented and interesting artists who opened their studios. The weather was great and the wildflowers were in abundance. 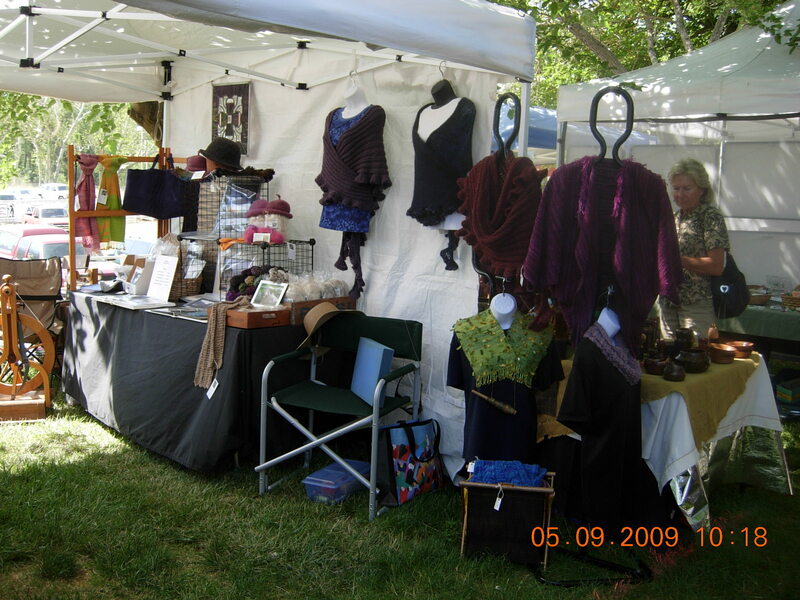 I especially thank those who showed their appreciation by purchasing some of my weaving or candles. Make a note now for Studio Tour 10 to be held March 23,24,25, 2012. 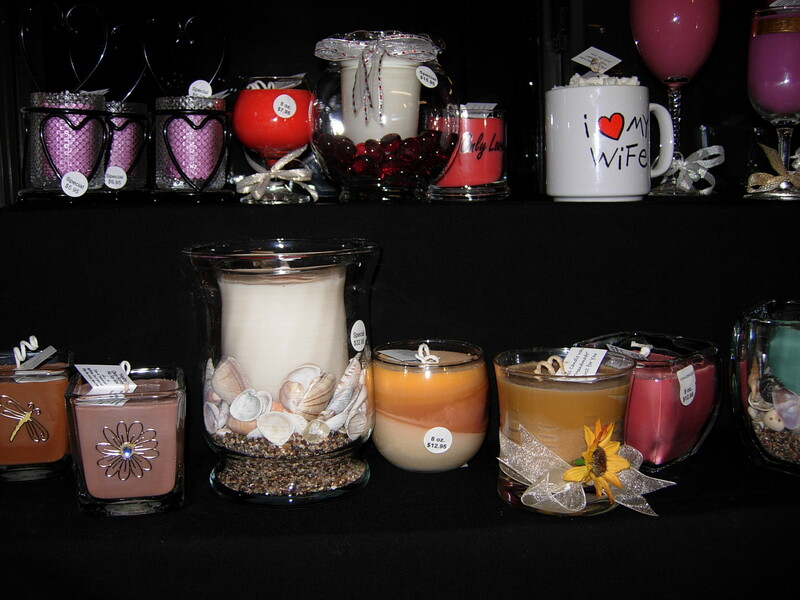 A lovely gentle rain falls while I prepare for my candle classes to take place on Saturday, March 6. Still openings available, call for a reservation. 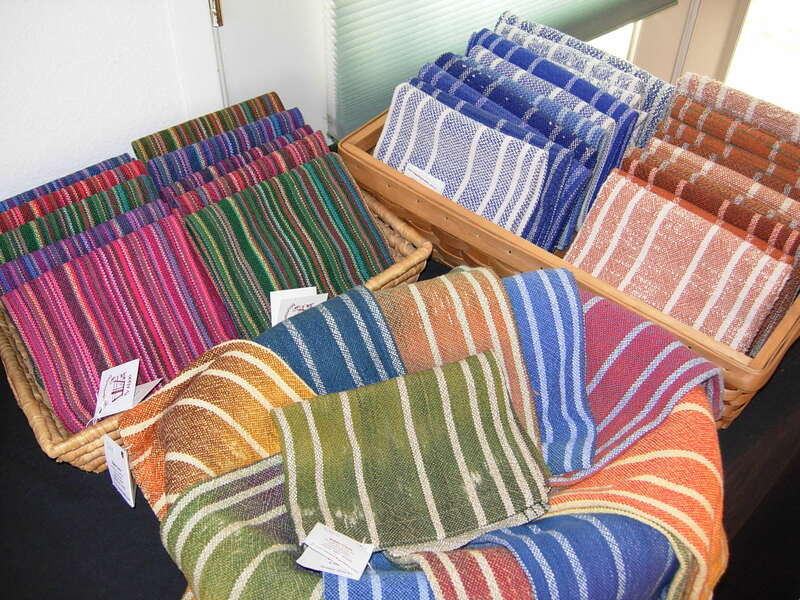 I’m starting to put together my displays for the Studio Tour–tagging shawls and putting towels in baskets. Still much to do. 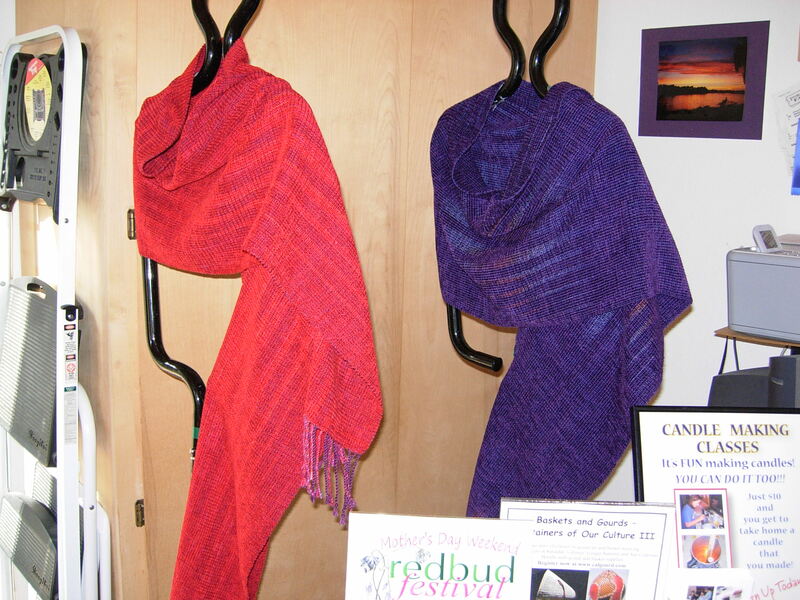 New scarves are on one loom and new towels are being added to another. Still two days left to get discount tickets to Studio Tour 9. I’m finally reaching the world thru cyberspace. Expect changes and updates as I learn my way around with the help of friends who know what they are doing. In the meantime, I’m working hard to prepare for the upcoming Studio Tour 9 in Three Rivers, Calif. I’m looking forward to seeing many friends, old and new, as you come to visit me and my friends in our studios and see what we’ve been working on. 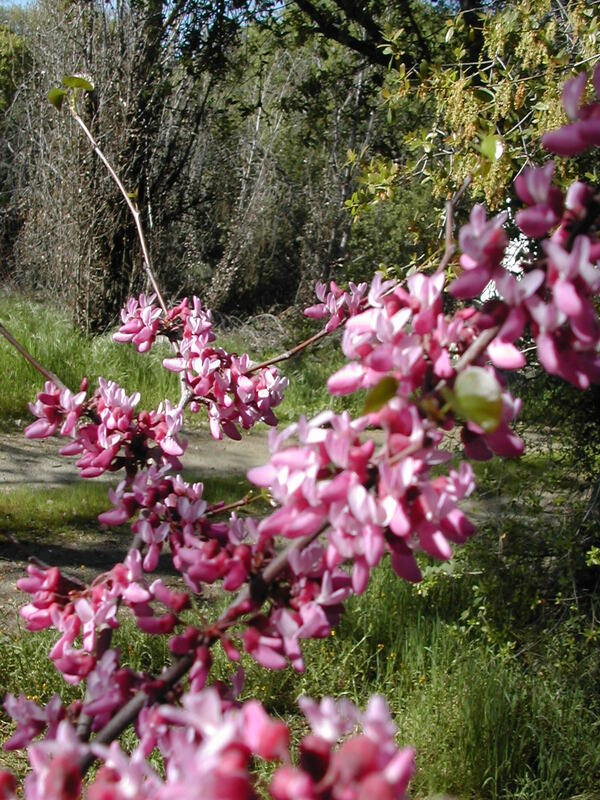 Enjoy the beautiful surroundings of Three Rivers, a pleasant little community in the Sierra Nevada foothills. The wildflowers are in abundance right now. I promise you will have a good time and you will see places that you didn’t know were places. 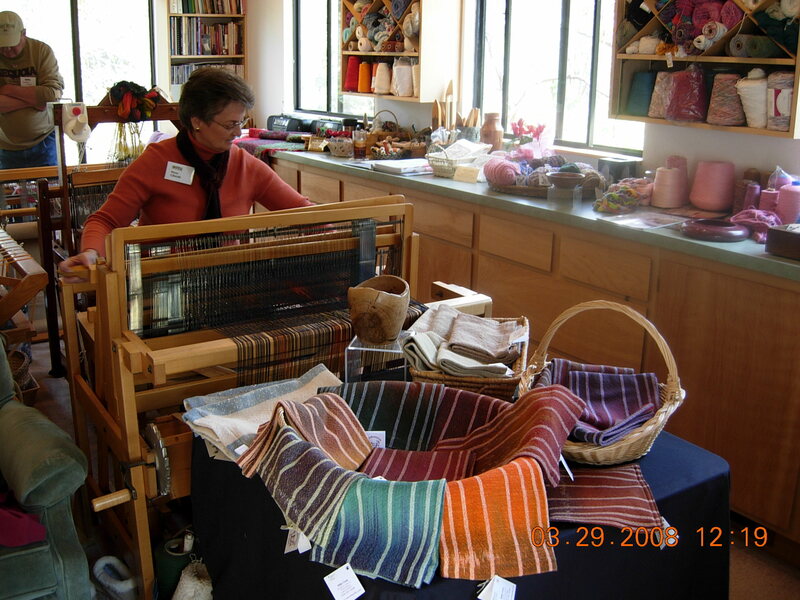 Weaving is my passion and I love to share it with others. I believe that practical items we use everyday should be beautiful and give us pleasure. Take some time to look at the pictures in my Gallery to see examples of what I do.